"Don't be fooled...it is better than you think"
Unbreakable is a cult classic that shows the vision of M. Night Shyamalan by considering the impact of comic books and superheroes on our modern culture. Despite the film's promising box office results, the studio chose not to do a sequel because they did not see the future in the world of comic books in 2000. The director of The Sixth Sense and Signs would go on to have a career of extreme highs and lows and one that was written off by many until his connection with Blumhouse Productions. Following on after the conclusion of Split, David Dunn and his son, Joseph (Spencer Treat Clark), have been doling out their own form of vigilante justice on the streets of Philadelphia. While they manage their own home security agency, one of the targets becomes the elusive mass murderer called The Beast, who escaped from the local zoo after taking some young girls hostage and eventually killing most of them, except for the sole survivor, Casey Cooke (Anya Taylor-Joy). 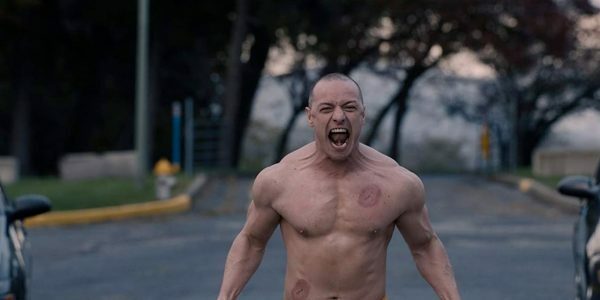 Staying consistent with his methodology of abducting young women, Kevin Wendell Crumb who contains twenty-four different personalities finally comes in contact with David Dunn. Their ensuing battle leads to their surprising capture by Dr. Ellie Staple (Sarah Paulson), a psychologist who has been tracking them and desires to “cure” these men of their delusions of super-human skill sets. While in the special facility designed to limit their abilities, these foes come to realise that the psychiatric hospital not only is a prison for them, but it also houses Mr. Glass. Which leads all involved to ask the question of who the real enemy is in this scenario and who is behind their capture? As a steadfast devotee of Unbreakable, the potential this world held and then to be given the twist at the end of Split as a long-suffering gift from M. Night Shyamalan, Glass offers closure to this decade long love affair with this film. The first two acts provide the solace of the psychological thriller that is synonymous with the director of The Village and then it seems to be coupled nicely with the origin tale of the superhero genre. Making Bruce Willis the poster boy for all middle-aged men who still think they could be superhuman, but then the final act occurs. The formula was working well with the unnerving dialogue of Dr. Staple, the stellar performance of McAvoy and even with the suspense of Elijah Price’s mental state, but then the film went through an identity crisis. Shyamalan seems to be looking ahead to his trademark twists at the conclusion and loses the plot in the grand stand-off, which will send the horde of critics into overdrive with vitriol and announcements of his unworthiness. Which is unfortunate, because the majority was a brilliant antithesis to the superhero genre and offers room for a future realm of heroes that are not limited to the canon of Marvel or DC. For the Unbreakable faithful, stay clear of the doomsayers who hope to hammer the nails into Shyamalan’s career and just go see this movie. Does it have its weaknesses and shortcomings? Sure, but does it deserve the hate that will inevitably come? No. There are some outstanding elements to this film and it does offer a welcomed alternative to the arduous build up of the MCU and DCEU. To the critical horde… Avengers: Endgame is coming and we all can finally relax. Chill out and let this one ruminate for a bit. It is better than you think.